Ricky Beck | Out of the Box! Football Fun Fridays! The lighter side of 100 years of BearKat football. 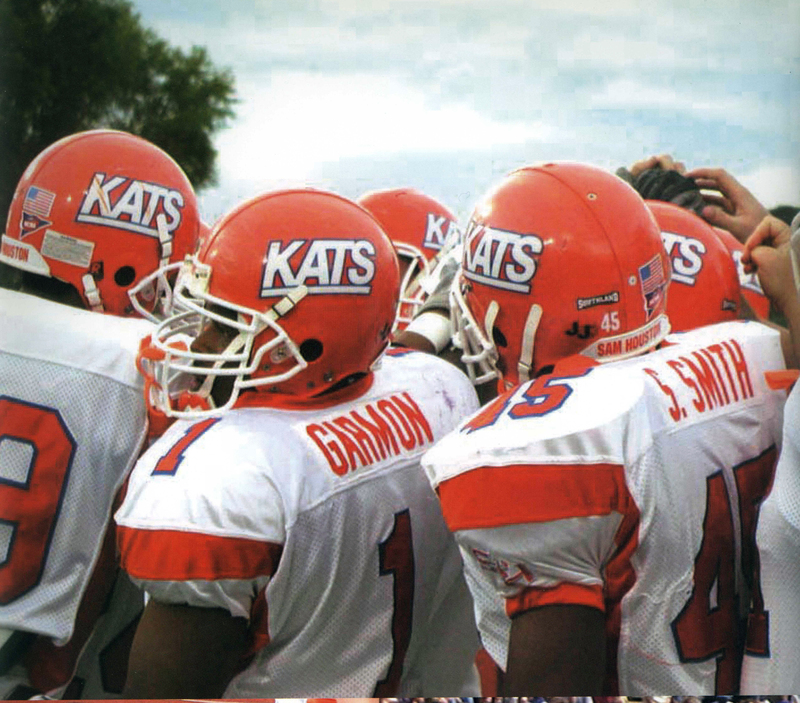 Here in the University Archives we have looked at or scanned what seems like thousands of football related newspaper articles, photographs, and yearbooks during the 100th season of BearKats football. So in this post the University Archives decided to pull out some favorites of the images and put them in one posting. See below for details about the images. 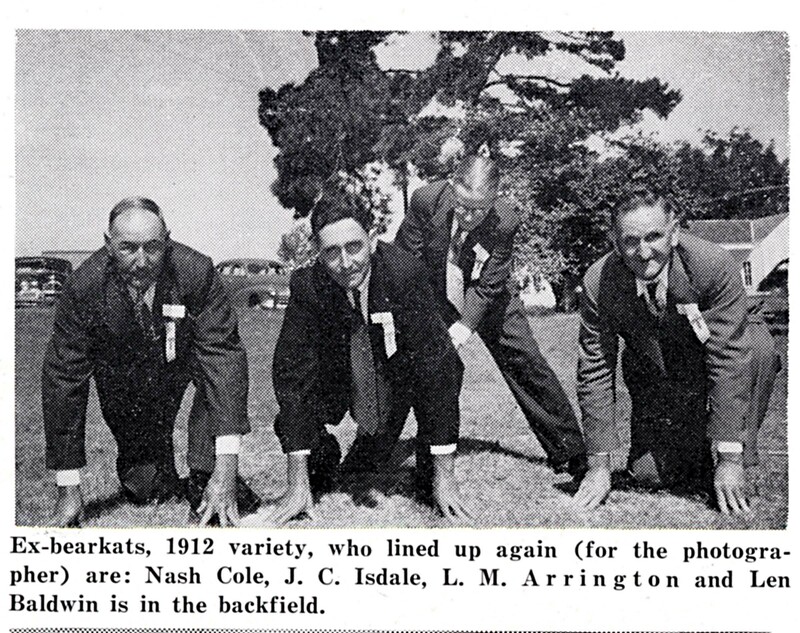 Row 2 – Members of the Sam Houston Normal Institute first football team in 1912 line up to reenact their formations. 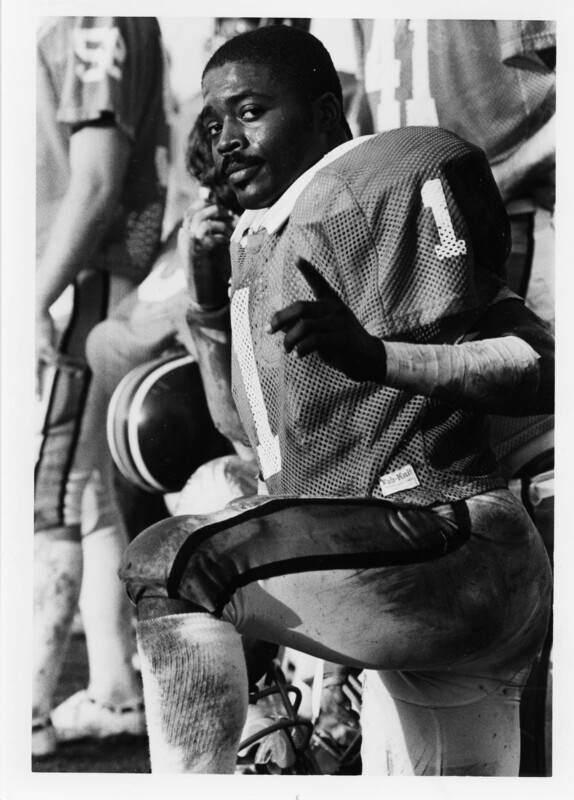 Among them is Len Baldwin who is said to have made the first touchdown in University history. 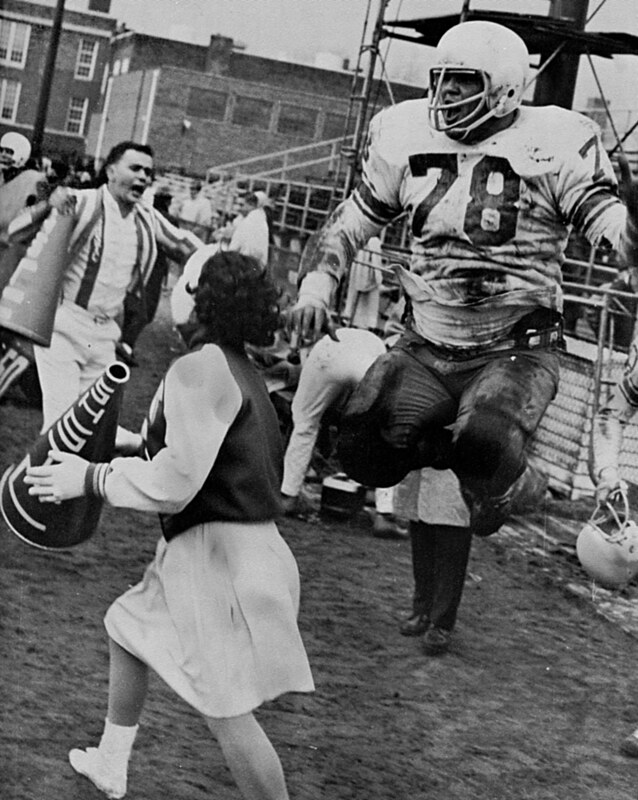 Row 3 – Left – Frank “Foxie” Fox jumps for joy as the Kats score against Concordia in the NAIA National Playoffs in 1964. Also showing excitement are cheerleaders Janet Miller and Rick Stowers. The game was a tie at 7-7. Right – Go Sam Houston! 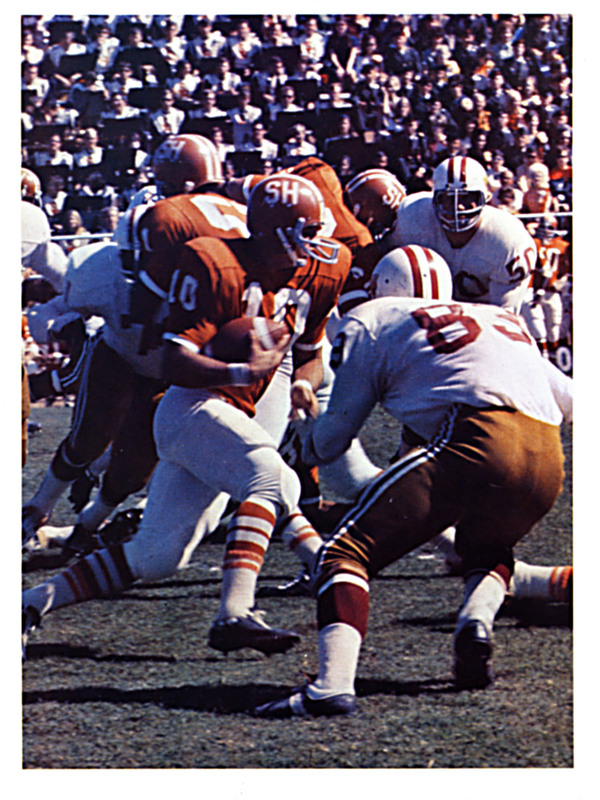 The BearKats run for a touchdown in 1969. 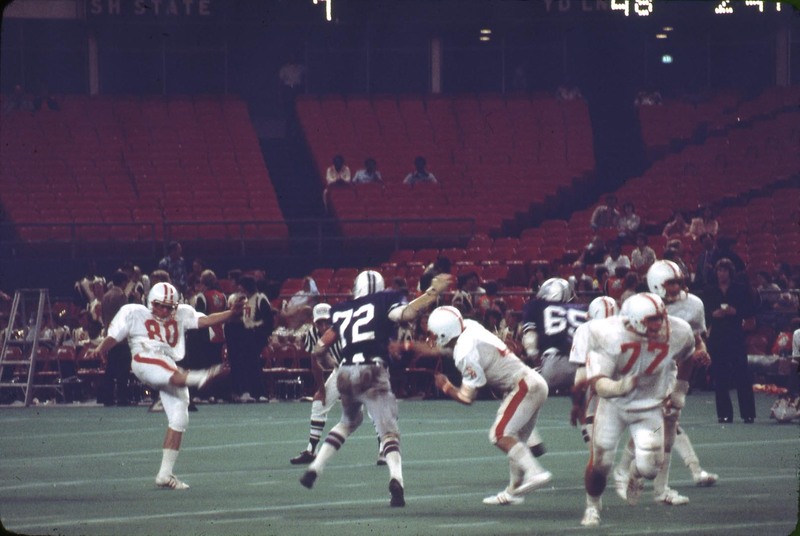 Row 4 – Left – In 1983 Senior Ricky Beck gives his opinion of the BearKats chances in the game. 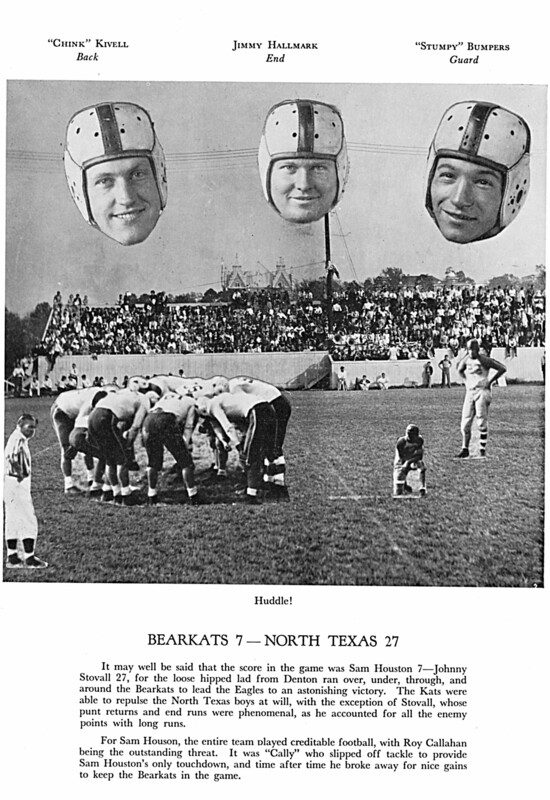 Right – In 1937 BearKat football was a welcome reprieve from the end of the Depression. In this picture from the 1937 Alcalde, the athletics photographer gets creative with the image. Note the Old Main Building spires in the background. This game was played at Pritchett Field. 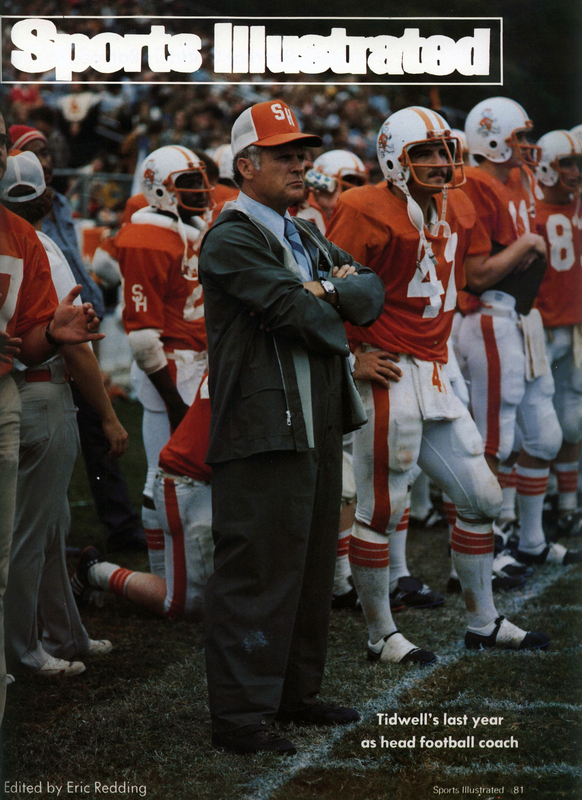 To see more football related materials come visit the SHSU University Archives, room 400 of the NGL, open 8-5, M-F.